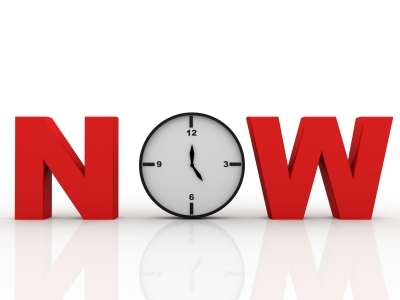 In my previous blog, I was talking to you about the TIME, just in case if you have missed my previous blog ‘Your time is now’, you can read it now here http://wp.me/p4fXYd-il . Today I will continue on the same topic, I want to tell you that you can bring your time, now! There is a time for everything, but you can bring your time now by just putting your trust in the finished work of Jesus Christ on the cross and you can also make the time of God come now by your persistent faith in Jesus Christ and through the Holy Spirit’s help. I want to remind you a woman in the Bible, who with her persistent faith in Jesus brought healing to her daughter before time. If she can receive the miracle before God’s appointed time for her, you too can receive a miracle and breakthrough now. Mark 7:24-30: This passage of portion is titled as “The faith of a gentile woman”. The Bible calls this woman as a gentile, unbeliever and heathen. Probably she might have heard about Jesus and the miracles He did, she came from a distant land, and she began to beg Jesus to heal her daughter, Jesus refused to heal her because ‘it wasn’t her time to receive a healing but she didn’t give up, she humbled herself to an extent and made her equal to dog, when Jesus saw her faith, He granted her request before time. The only key to receive a miracle and break through before time is trusting God is able to do it for you; you pursue Him until you get it. This woman had an option to return home when Jesus said no to her, but she didn’t, probably this woman came to meet Jesus with a determination ‘that she will not return home without a miracle for her daughter’. You can live a holy life now, you can!! This woman didn’t fast and pray, this woman didn’t wait on the Lord for hours/days but the only thing she did was to come to Jesus in faith, and ask Him and pursue Him, when God saw her faith He couldn’t stop Himself but to go out of His time and bless her and grant her request! The bible also talks about Jacob, he wrestled with God the all night; God didn’t say ‘come Jacob, this is your time to be blessed’, it was Jacob’s choice, he needed a blessing badly. He pursued God so bad that God had to bless him. What is that miracle you been waiting for? Today, you have a privilege to call God as, ABBA FATHER. Jacob didn’t have this privilege nor did that gentile woman, yet God granted their requests. As His child when you cry out to Him, He will do whatever you ask the Father in Jesus name. He is a good Father. When you ask, it will be given and when you seek Him you will find Him, and when you knock the heaven door it will be opened to you. ANYTIME – ANYWHERE! This is your time for a miracle! Run to Jesus and pursue Him with humble heart! As you are reading, I pray and bless you, everything for which you been waiting for days, months and years will be granted to you right now in the name of Jesus. Let there be a celebration in your life and your family now in Jesus name. Thank Him for all the miracles, breakthroughs and blessing.